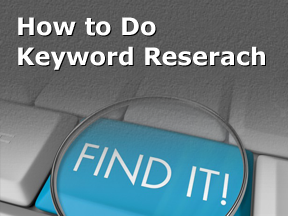 Do you know how to do keyword research? 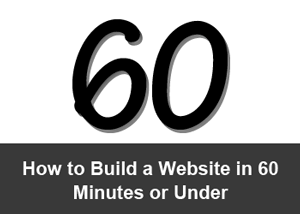 Are you struggling to get free traffic from search engines? If yes, no proper keyword research could be the fundamental reason. Q: What is your favorite method and tool to do a keyword research that works? I hope followings answers will save you great amount of money and time. Don’t forget to share your favorite method of doing keyword research in the comments below. 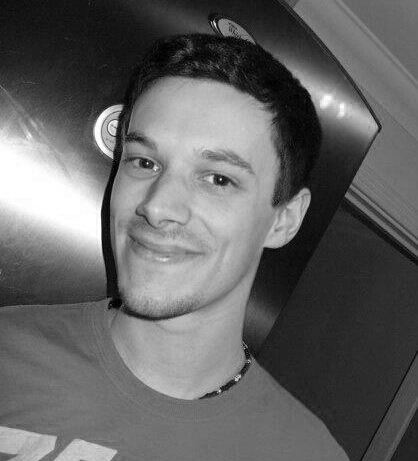 Matt is a UK based SEO Consultant who blogs on his personal site and the co-founder of Pet365.co.uk. Find him on Twitter – @mattbeswick. To answer your question, one tool that I absolutely love is Ubersuggest. I use this to inspire a lot of our blog post titles by entering the start of a question, such as ‘how do dogs’, and seeing what ideas the tool comes up with. I then export all of the ideas, paste them back into the Google Adwords Keyword tool (using exact match search volumes) and prioritise the content that we’re going to write based on the results. Mark Johnson is the founder of ThinkTraffic.co.uk, a team of SEO specialists who work mainly with small businesses and entrepreneurs. Check out one of their recent blog posts about link building management. For keyword research I prefer not to get too bogged down with tools. I use Google’s keyword tool of course; I brainstorm ideas for seed keywords, put them into the tool one by one and export the results. Then I will filter for relevancy. If I don’t think I can add any value to what is already in the search results, I won’t target that phrase. Simple really. Shane Jones currently works as the Senior Social Outreach Specialist at WebpageFX. 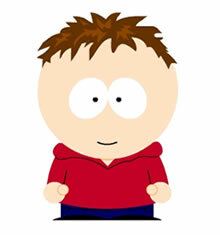 With an unhealthy obsession with the Internet, Shane spends nearly all of his time blogging about social marketing, or occasionally sharing his opinions on his soccer news blog. On those rare moments when he’s not behind a computer, Shane’s either playing soccer, kayaking, or living out his bucket list. He can be found on Twitter: @ShaneJones15. I like to use Google Adwords Keyword Tool – That’s where I start every single bit of keyword research. It’s really great at providing an idea of how competitive the space is, and be able to provide a snap analysis of how likely my client would be at ranking for those keywords. I think of the future, partial match, and long-tail and try to build a great portfolio of keywords we’re capable of targeting. Like anyone else, I’ll start with my focus on the long-tail and localized, and work my way up, but keep these focused on my highest competitive terms to gather some partial match. This approach seems to work really well as you begin to scale up! I’ll go through my clients Google Analytics as well and discover what keywords have been converting, performing, driving traffic and make sure I’m not missing anything. Additionally I’ll mess around with Google’s auto complete in the search. It usually gives you a good idea of typical searches by the public. Finally I’ll check up on SEM Rush and go through the “phrase match report” for related keywords. Great to see if I’m missing anything. Would also recommend compete.com, SpyFU, and Wordtracker for those with bigger budgets! 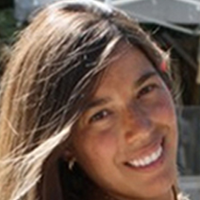 Marcela is CEO & Founder Gryffin.co. I’ve been in SEO since 1999. I was an online marketer when Google was but a whisper of promise. I’ve seen the evolution of search engine algorithms. And I’ve surfed the wave of change as search engine marketing has evolved..
After trying out almost every popular keyword tool on the market, I found SwissMadeMarketing.com to be the most comprehensive. Not only do I get competition & search numbers, I also see the average CPC cost, whether there is a video or social media page in the top 10, and how much traffic to expect based on the position. I can also look at the SERP’s and gain an idea of how competitive each specific keyword is. Some keywords may appear excellent but if you analyze the sites rankings they may have very high domain authority, or the median age of the SERP is too high. At a glance I can look at Page and Domain Authority, Juice links, and social shares. SwissMadeMarketing also allows me to import my own keywords and will give me an analysis of the competitiveness, searches, and more. From the same tool, I can add keywords I select to the rank tracker so I can benchmark and track my progress. Since most people are doing the exact same keyword research using the same data sources, I try to think outside the box when searching for new keywords. I search laterally for other keyword niches that share the same audience, and incorporate data from the site’s analytics to understand the mentality and demographics for that particular target audience. Finding keyword gold isn’t so much about the tools but about the ability to understand the demograhpics, think outside the box, and engage in detailed competitive research. After I select keywords I run more reports using LinkResearchTools.com and gain deeper insights into the sites ranking in the top 10, including Link Velocity, Domain Age, Links from Unique C Classes, Links from directories, .edu, and .gov domains, anchor density, and much more. Chuck Price is founder and CEO of Measurable SEO. 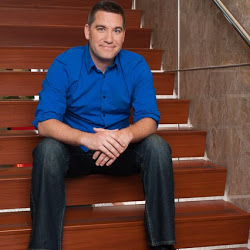 He’s a featured speaker at Digital Marketing Conferences and writes for leading internet marketing blogs, including Search Engine Watch and Search Engine Journal. He’s passionate about customer service and rants both positively and negatively about his customer service experiences at his personal blog, ChuckPrice.org. generator at: http://www.measurableseo.com/longtail-kw-generator/ This tool uses the “suggest” data from Google & Bing and tells you what searchers are looking for. Other Free tools worth considering are the SEO Book Keyword Suggestion Tool: the ordtracker Free KW tool and the Google Suggest scraper, Übersuggest. Andrew Shotland, SEO, Local Search & Web Strategy Consulting. Read www.localseoguide.com for local search optimization tips & trends. There are a number of other tools I use, but these are the ones I turn to first. Corey is a founder Chicago-based inbound marketing agency NorthCutt.com specializing in content strategy, site optimization, social marketing, and link building. My keyword strategy starts with mining SEMrush for low-hanging fruit on the client’s site- keywords with profit potential, but just needs a little push up to page 1. Next, I use SEMrush to see what their top several competitors are ranking for, and check the difference in Excel. Finally, I get a little creative with the AdWords keyword tool to find anything we may have missed, and the auto-suggest tool for long-tail content opportunities. We’ll then attach personas and target pages (whether they exist yet or not) to groups of keywords, and get to work! 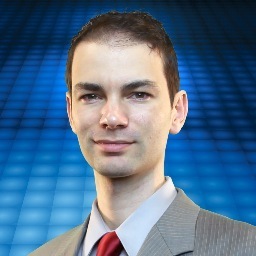 Nick Stamoulis, CEO of SEO Firm Brick Marketing. The first thing I look at when we optimize a website is look at a clients Google analytics account. Specifically, we look at the keywords that have generated website visitors to specific pages of a website over the past year. The key is to not recreate the wheel and remove any keywords that might be naturally doing well (due to trust of a website and quality of the content) on a specific page. Then we use the Google keyword research tool to conduct keyword research for each page. This is based on the content and keywords already driving visitors. Out of all of the keyword research tools on the market, we still find for SEO purposes the Google keyword research tool is still the best (and its free!). Joydeep Deb experienced in Online Marketing, Web Technologies, Search Engine Optimization, SEO, SEM, SMM, Web Master, eMail Marketing, Web Analytics, MIS Reporting, Web Design and Development. I use Google Keyword Tool for my keyword research as it is my primary target search engine and many other keyword research tool uses Google Keyword Tool APIs only to display their reports (e.g. SEOmoz keyword research tool uses Google’s API only to display their keyword research report). As I am trying to rank better in Google, no one other then Google who can provide me a better report on this. I want to see what’s the keyword search volume, competition, CPC etc. Bill is the President of Back Azimuth Consulting, which focuses on helping companies “Find Direction in their Data” via their cloud-based keyword data mining and management platform. My favorite method is to do a complete analysis of the entire portfolio of keywords related to a company. I pull into a database all words which brought traffic for the past year from paid search and organic search. Then we pull in site search data, Google Webmaster Tools Keyword data and social media conversation mining data. We then will develop a matrix of all of their product categories, products, and product attributes. We then will get any additional vairaions we might find in Google Ad Words Keyword Suggestion Tool. Depending on the product category, we might pull in some competitor keyword data from SEMRush or KeywordSpy but after the first few hundred words this tends to be clutter and notreally relevant. Once we have our keyword universe we prioritze the words into tiers. We start with an “Always On Category” these are words that are mission critical (they are the essence of what a company does or sells) and we need to have top 5 presence at all times or an 80% share of voice in paid search. Next we sort into additional tiers in levels of improtance from Tier 1, 2, 3 4 and seasonal words related to holidays, times of year or specific initiatives which occur periodically rather than ongoing. The third step is to segment them by phases of the customers buy cycle then into Personas and finally categories and subcategories of words along product segments. This level of classification of keywords allows us to really focus on those words that are the most descriptive, relevant and important to the business especially in the later phases of the buy cycle. The next big step is to map these words to specific pages. We call these “Preferred Landing Pages” – PLP’s are the specifc page that we wish to have rank for that phrase. We do this for all of the Always On Words and the Tier 1 and typically the Tier 2. We do have some clients that wanted it for all the words in different phases of the buy cycle as well to make sure that the best page was actually the page that was ranking well. We have seen a range from 30 to 80% lift in sales if the PLP is ranking vs. another less relevant page. I don’t use artificial factors such as KEI or any sort of keyword difficulty scoring – if a word is important to the business then all efforts must be made to improve performance of that phrase. We do all of this in our Keyword Management Suite that is a massive data warehouse of all keyword related data. It allows us and the client to easily segment words based on performance as well as persona and buy cycle. We have built a veriety of filters that allow us to identy words with high potential that are currently underpeforming to quickly focus on them rather than just picking words at random. I personally think this is the next generation way of doing this and am quite suprioesed more companies are not going deeper into their data to maximize their best opportunities. Let me know if you ahve any additional questions of clarifications. We use a mix of methods depending on what we’re trying to do. We rely on Google Adwords and the SEOmoz Keyword Difficulty Tool when researching the most effective keywords to use for optimizing a client’s website. If we’re trying to determine the best content to create for a specific topic or an idea that we have (or maybe don’t yet have) for a client, then we use a bunch of trial and error with Google Suggest (you could use Ubersuggest for this as well). This helps to spark ideas. No matter what keywords we’re trying to discover, we always integrate the human element. Just because a keyword is ideal and would be an easy target for a client to rank well, if it isn’t relevant/doesn’t match our goals and objectives for the content, then it certainly isn’t worth using. To that end, it’s really important to us that the keywords we’re using considers the customer and their experience. We always make sure we ask this question: if a customer clicks on a search result for a specific keyword, and they are matched with the content you have optimized, are they going to be satisfied with the result? Pratik Dholakiya is the Lead SEO Strategist and VP of Marketing at E2M Solutions, a full service internet marketing company helping every size of businesses to stay on the top in the post panda/penguin era. 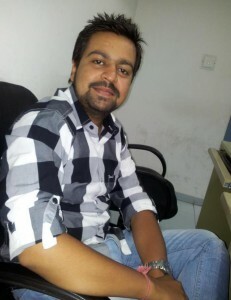 Pratik is a regular contributing author at SearchEngineJournal and has been recently featured on SEOmoz. It’s brainstorming for both. Yes, whenever I have to perform keyword research for any project, I start with understanding the business model and the USP of the business. I then move towards brainstorming and looking out for the “keyword” opportunities that can be searched by a user instead of just preparing a list of keywords with the help of various tools. Once I have handful of keywords through brainstorming, I go to Google & Bing and search them all to find out more opportunities on the top of what I have brainstormed. And this will give me some more ideas along with a new batch of keywords. Other than just brainstorming, I also prefer to look for what competitors are doing and put together a list of keywords they are focusing on. This will give me self-assurance that I’m on the right track with the phrases I’ve gathered. Brainstorming and checking with competitors’ target terms would give me sufficient amount of keywords to go ahead with; however before finalizing any of them, I use two tools which are very helpful – Ubersuggest (provides keywords suggestions based on the terms you enter in the query box) and Google Keyword Tool (we all know how it works and helps 🙂 ). There’s a lot more I do to make sure I have the right keywords, but instead of writing down everything here, I’d recommend reading a post by Ann Smarty on BlueGlass about “How to Actually Use Google Suggest Feature for Keyword Research and Beyond” – This was published long back but it’s still gold. Mobile Martin is a Mobile SEO Consulting Service of Michael Martin located in San Diego, CA 92122 United States. 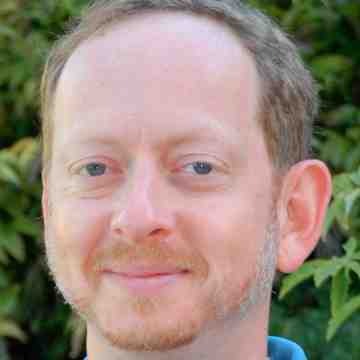 Michael Martin is the SEO Manager at Covario & SEO Course Instructor at San Diego State University. Currently a Mobile SEO writer for Search Engine Land and SEO writer for Search Engine Watch as well. The tried and true form of keyword research still revolves around Google’s keyword tool but to be ahead of the curve with keywords before/as they trend using UberSuggest, Google Trends as well Rio’s Keyword Discovery tool. Mandy Boyle is a freelance writer, co-founder of NEPA BlogCon, and the SEO Supervisor at Solid Cactus. You can follow her on Twitter @mandyboyle. Listen to your visitors. Pay attention to the language they use when making comments on your blog, tweeting to your company, or asking questions on your Facebook page. It’s so easy to think of something in one way and get stuck on one keyword variation. Listening to those who interact with your site can help you explore variations you might not have thought of. 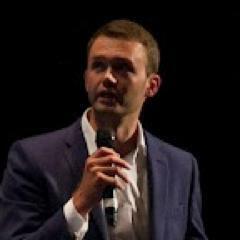 Simon runs Zazzle Media, a data informed and content led digital marketing agency with core competencies in content marketing, social marketing and data insight and technical optimisation. Before setting up the agency he spent 10 years as a print editor and uses that experience to help add value to our content led approach. He speaks regularly around the UK and writes regular posts for many of the industry’s most popular sites. Keyword research is a really interesting subject matter at present with semantics beginning to change the way we understand how we create strategies full stop. That said keyword research is still very important and we use a combination of data sets and tools and still us things like KEI to understand competitiveness etc. We then combine it with data from Searchmetrics and Google’s obligatory keyword tool to build out multiple lists of keywords. We end up with csvs that give us CPC, volume, KEI etc. We then also use LSI tools and Google suggest based query tools like Ubersuggest to help us find new keywords to build out the initial lists. Analytics data can also prove very useful if you have access to it. Mark Cenicola is the president and CEO of BannerView.com, a website development company focusing on helping small to mid-size businesses better use the Internet as a portal for generating business. Mark is also the author of the book “The Banner Brand – Small Business Success Comes from a Banner Brand – Build it on a Budget. Our favorite keyword tool to use is Google AdWords for finding keyword ideas. 1) We find relevant, competitive keywords by letting the tool analyze the content on the website, starting with the homepage. Most of these keywords are related to the solution that the website provides and we’ll choose 10-15 top keywords. If we don’t get back relevant keywords, then the website content may need revisions. 2) We also find keywords based on the problems our client may solve, not just keywords based upon the solution. Many search engine optimization experts think from the solution perspective because most websites present the solution, not the problem. By looking for keywords related to the problem, this opens up an entirely new set of keywords that can be used effectively to drive traffic and conversions. When people already know the solution to a problem, the competition is fierce. By thinking about both the problem and solution, we get a good mixture of solution and problem based keywords that are relevant to our customers’ services. Nick Andrews is Head of SEO for Receptional Ltd – Dixon Jones of Majestic SEO’s internet marketing company in the UK. Throughout Nick’s SEO career he has created local, national and international SEO campaigns for some of the world’s largest brands. As a forward thinking, innovative search marketer Nick places a strong focus upon creating SEO strategies that fully integrate online and offline activities. Follow Nick on twitter @nickjandrews. There are many automated tools around these days which seek to make light work of keyword research however I’ve never got on particularly well with any of these nor trusted their data. My favourite method is therefore to use a range of Google products e.g. Google’s Keyword Tool, Google Analytics and Google Search, combined with manually reviewing competitor activity and talking to my clients about what their customers are asking them day to day. Ultimately what works for me is a lot of brainpower, common sense and complicated Excel formulas which certainly gets the desired results for my clients. I hope the above answers will help you to improve your keyword research and achieve better results. Question: How will this post help you to improve your keyword research? Please share your answers in the comments below. It was helpful to read about keyword research methods of other SEO people. Thanks for putting all the stuff in one article! Thanks for this great article ! It’s really helpful Article to better understand about Keyword Research. It’s amazing experience of all these legend of online marketing ! It’s really wonderful achievement to read legend’s experience article ! They all have shared their great mind experience for Keyword Research! Thanks Rana for sharing this great Article to help those get confuse while Researching Keyword.